This recipe is from Hugh Fearnley-Whittingstall’s book Veg Every Day. These can be done on a barbie outdoors, on a ridged cast-iron griddle pan in the kitchen, or even, at a pinch, under a grill. When barbecuing, threading the asparagus spears onto skewers makes it easier to turn and cook them without losing them through the bars of the grill. Light the barbecue well in advance if you are cooking outside. Soak 8 wooden skewers in water for 30 minutes. 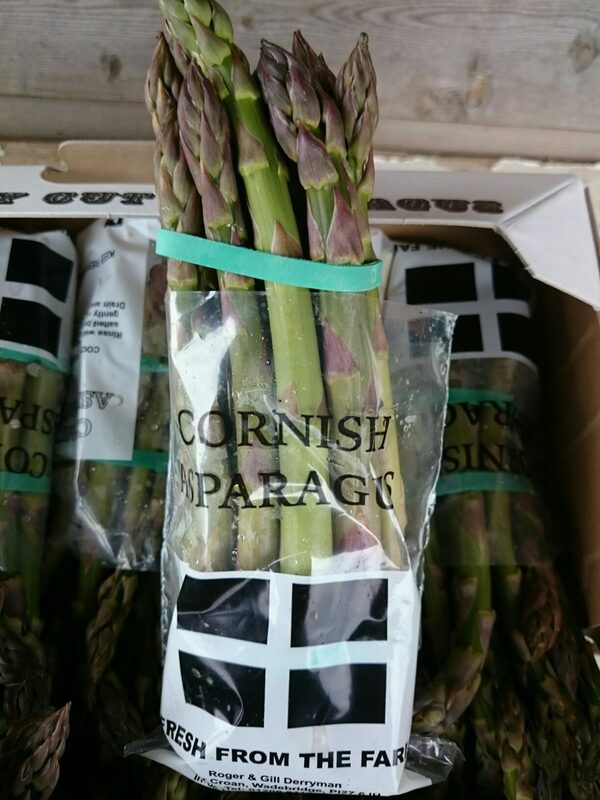 If the asparagus spears are pretty thick – more than 5mm across the middle of the stem – or perhaps not so freshly cut, it’s best to blanch them first. Add to a pan of boiling water, blanch for 1 minute, then drain and refresh in cold water. Drain well and pat dry. Thread the asparagus on to the skewers, about 5-6 per skewer, pushing it through the middle of the spears. Brush the asparagus with some of the oil and season with salt and pepper. If cooking indoors, heat the griddle or grill until hot, then place the asparagus skewers on the griddle or under the grill about 10cm from the heat. If cooking on a barbecue, you want it medium-hot, rather than super-fierce – you should be able to hold your palm about 15cm above the coals for a few seconds. Grill the asparagus spears for about 3 minutes on each side, depending on thickness, until tender in the centre and lightly charred on the outside. Whisk about 2 tablespoons oil with the lemon juice, some pepper and the mint to make a dressing. Remove the asparagus from the skewers, arrange on a plate and trickle the dressing over them. Sprinkle with flaky salt and shave some cheese over the top if you like.